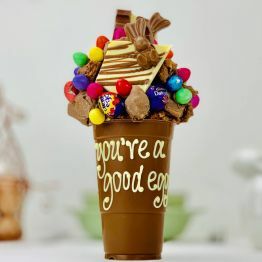 Chocaholics Smash CupGE03THIS PRODUCT CAN ONLY BE DELIVERED TO THE UK - Due to popularity, whilst we will do our best to dispatch as many orders as possible, we are unable to guarantee delivery in time for Easter weekend on this product. 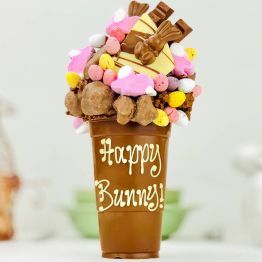 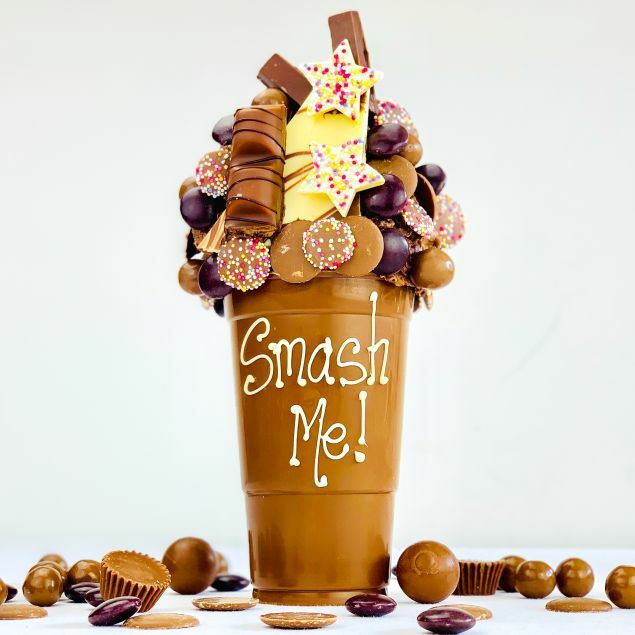 lets start with the cup made from creamy smooth belgian chocolate and packed with all the favourite chocolates, just to list a few we have Lindt Lindor, Ferrero Rocher, Raffaello, Kit Kat, Kinder Bueno, Roses, Buttons, Chocolate Honeycomb, Maltesers, & Minstrels. You have the option to include a wooden spoon to get the smash effect and then a sumptious amount of sweets tumble out!